You will find this book interesting, factual, and engaging. A real how-to guide, compelling enough to motivate you to either start a new business or the necessary tips and pointers that will take your existing business to new levels. 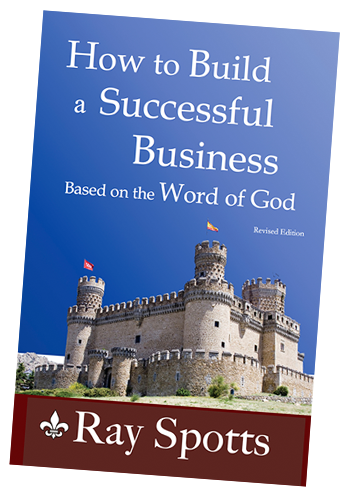 Although, How to Succeed in Business has been written from a Christian perspective, you will find the 181 pages loaded with Gold Nuggets for everyone. The contents of this book could very well be the defining point of whether your business survives these turbulent economic times in finance and business. My parents were just common people, hard working with blue collar jobs. Growing up I was taught integrity and discipline and many other things, but basic business skills was not something we discussed around the dinner table. Like many of you, I am a graduate of the “school of hard knocks”, which was the foundation of my education in learning how to make a business profitable. My trial and error which I refer to as my “learning curve” taught me the “do’s and never do” lessons in my business success. Lessons that I would like to share with you, lessons that will change your perspective. This book has been written to give you the critical steps to success and to provide you with the know-how to have a successful business.